Asia Dent modern equipped dental clinic situated in one of the biggest and the most popular cities in Turkey. The clinic is working according to international standards. Experienced dentists and english speaking staff will do everything for your perfect stay. If you want to get high quality dental treatment at affordable price and spend an amazing vacation at the same time you should choose Asia Dent. Situated close to Chemenzar (Çemenzar) stop. Istanbul has a lot to offer for the tourists: mosques, markets, museums and delicious cuisine. It is the most popular city in Turkey. You can go sightseeing or spend the whole day at the beach. The city has everything for the perfect vacation! She has experience - over 23 years in Turkey and Germany. 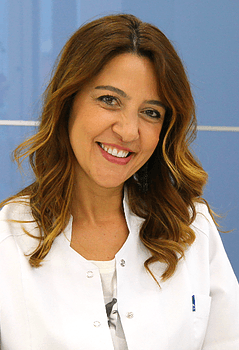 Dr. Gokay Kartal graduated from the Faculty of Dentistry in the Marmara University. After the military service he returned to the profession of dentist. In the same time he continued his professional career and opening a private dental cabinet. 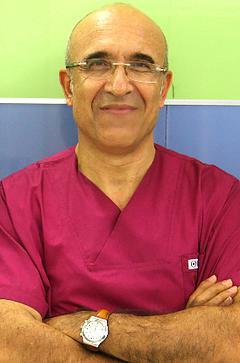 Since 2000 he works in laser dentistry. In 2010 he opens his Boutique, which later was expanded and renamed to Istanbul Asia Dent. During the last 30 years he has treated more than 20,000 patients. His credo is an individual approach to each person. Professional and attentive staff. I recommended this clinic to everyone. I am satisfied with the service I received.